While the Internet is a wonderful resource for researching our roots, it is also a powerful medium which can be used by some (perhaps unknowingly) to perpetuate misleading and incorrect information! This often results in "myths" which require years, before they are corrected by serious researchers. It is important to realize Acadie was not like Quebec. We changed hands between France & England ten (10) times and during each of these 'transfers of powers', important documentations were lost. There are only a handful of Church Register entries that survived before 1700's. All we have are some census to rely on, the earliest being in 1670. And, serious researchers will know that Census usually do not contain hometowns or other genealogical information. So, unless documentation from the period exists, we tend to rely on the respected genealogist Stephen A. White's research as being authoritative. Just remember just because you find something on the Internet, or even in-print, does not always make it absolutely correct. Some people will make 'guesses' while others, unfortunately, have hidden agendas and are trying to rewrite our history the way they would want it to be! Others will claim Acadian "nobility", traced back to Europe. While there may be a few exceptions, it is highly unlikely you will be able to trace "common Acadians" back to European "nobility", since too many records have been lost over the years. The purpose of this page, is to list some of the "myths" created by 'wanna-be' researchers, as they pertain to Acadian-Cajun genealogy and attempt to help correct those errors. A recent newspaper article published in certain areas of Louisiana and Canada made reference to the fact that Jean-Claude Landry was indeed the progenitor of this particular line of Landrys. Dr. Don Landry of Metaire, Louisiana, Historian for the Landry Family Association, has written the following rebuttal to these articles in the hope of answering the question... myth or progenitor? Sometime during February and March, 1998, a two part series on the Landry Family appeared in the Lafayette, Louisiana "Daily Advertiser" and again on Sunday March 16th and Sunday March 23rd the same, or similar article appeared in Damon Veach's column, "Louisiana Ancestors" which is a more widely spread genealogy column, and is published in the editions of the New Orleans Time-Picayune, Baton Rouge Morning Advocate, the Lafayette and possibly the Lake Charles,Alexandria and Shreveport newspapers. 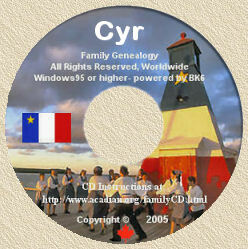 According to the articles, the information on the genealogy and origin of the Landry Family of Acadia was received from a Paul Surrette, historian and genealogist from Moncton, New Brunswick; Brian Comeaux, of the committee for the Congres Mondial Acadiennes-Louisiana, 1999 and Ray Landry, a member of the Landry Family Association. Unfortunately the articles appear to be merely a paraphrasing of Father Léopold Lanctôt, o.m.i. 's account of the "The Landrys in Acadia" in tomes I et II, Éditions du Libre-Échange ISBN 2-89412-003-6 and L'Acadie des origines Léopold Lanctôt, o.m.i. Éditions du Fleuve, Montréal, 1988, which unfortunately are filled with errors, presented as documented facts. For the past 8 to 10 years, since I have been doing genealogical research into the Landry family, I have run across researchers and documents written by researchers that hold to the theory that the parents of René Landry, le Jeune married to Marie Bernard was Jean-Claude Landry and Marie Salé. On more than one occasions noted genealogists, including Stephen A. White, genealogist and historian at the University of Moncton's Centre d'Etudes Acadiennes in Moncton New Brunswick and Father Clarence J. d'Entremont, Middle West Pubnico - Yarmouth Co., Nova Scotia, have more than adequately rebutted this theory. They and the others theorize that this error was caused by the early censuses of Acadia, which enumerated Marie Salé as the "widow of Jean Claude" in the censuses of 1671 and 1678, and then in the 1686 census, no mention was made of her deceased husband Jehan Claude, Marie Salé was enumerated as 86 years old and living between René Landry, le Jeunne and René Landry's oldest son Antoine Landry. This caused noted genealogist, Archange Godbout, to leap to the conclusion, that since Marie Salé was living in close proximity to René Landry, le Jeune, then she was the mother of René Landry, le Jeune. And still a greater leap was made to conclude that if Marie Salé was the widow of Jean Claude, then Jean Claude was the father of René Landry, le Jeune and Jean Claude, in fact was actually Jean-Claude Landry, father of René Landry, le Jeune. I am sure that most researchers understand the importance of having all of the information documented, and I am sure that they assume that, since the information they received was from credible sources, that it was documented and factual genealogical and historical data. What I am afraid of is that since this error was so widely published throughout Louisiana, especially in south Louisiana, where the majority of the Louisiana Acadian population resides, these errors will be perpetuated for a long time to come. And just as the errors of Fathers Archange Godbout, Leopold Lanctot and Adrien Bergeron, Bona Arsenault and countless others, have been believed to be documented facts, these errors will also be believed to be the documented facts, just because they were printed in a reputable column. Probably prompted by the above census entry, the writings of Adrien Bergeron in his "Le Grand Arrangement des Acadiens au Quebec" vol IV p.283, says that Marie Salé is married to Jean-Claude Landry and had two sons René Landry, the elder and René Landry, the younger. And in a more elaborate extension of this error, Leopold Lanctot, o.m.i., In his publication "Familles Acadiennes", makes the following suggestions as to the beginnings of the Landrys in the New World, when he states on page 7: "It all began in the year 1640 or 1641 when a group of 10 from the Landry family came to Port Royal, Acadia from France. The Landry family was originally from La Ventrouze, near Mortagne-au-Perche. Department of Orne, France. They were encouraged to come to Acadia by Marguerite Landry, daughter of Jean-Claude Landry and Marguerite's husband Robert Martin, who had been in Acadia for several years. The group of 10 consisted of Jean-Claude Landry and his second wife, Marie Salée (40 years) with their son René Landry, dit le Jeune (6 ans) and three children of Jean-Claude Landry from his first marriage: twins, René Landry dit l' Aisne (22 years) and Antoinette Landry (22 years), Perrine Landry (29 years) with her husband Jacques Joffriau. Also in the group were three of Marie Salée's children from her first marriage to Martin Aucoin. These children were: Michelle Aucoin (22 years), Francois Aucoin (18 years) and Jeanne Aucoin (8 years). The group probably settled near the Saint-John River in the Cape Sable area. They later moved to Port Royal. Please note that there were two named René in this group, René Landry, the elder (son of Jean-Claude Landry from his first marriage) and René Landry, the younger (son of Jean-Claude Landry and Marie Salé). René, the elder married Perrine Bourg, widow of Simon Pelletret, in 1645. Perrine had 2 children from her first marriage: Henriette Pelletret (4 years)and Jeanne Pelletret (2 years). "On page 9 Leopold Lanctot, in discussing the 1686 census, mentions" "Marie Salé age 61 ans, widow of Jean Claude" but he adds the surname LANDRY in parentheses "(Landry)". He like all the others before him, suggests, on page 11, that René Landry, l'aine and René Landry, le Jeune are half brothers, and again adds, in parentheses, "(le Jeune, demi-frere de René Landry, l'ainse)" behind René Landry, the younger's name. And again adding, in parentheses "(mere de René Landry, le Jeune)" behind Marie Salé's name. Leopold Lanctot suggests, on page 15, in a chapter on René Landry, dit le Jeune, and Marie Bernard, again suggests that René Landry, le Jeune is the son of "Jean-Claude Landry and Marie Salé" but notice that the hyphen between Jean and Claude has been added and the surname Landry is not placed in parentheses. The placing of the earlier assumptions such as the surname Landry and Marie Salé being the mother of René in parentheses, which were later presented with out the parentheses, and the addition of a hyphen between Jean Claude's name, show the gradual progression of these errors into what is now believed by many to be documented facts. These errors are also found on pp 623-624 of "Histoire et Genealogie des Acadians" by Bona Arsenault, where Arsenault states:- "Jean-Claude Landry born 1593 and Marie Salé born 1600 daughter of Jean Denys Salé and Francoise Arnaud, were married in Department of Orne in France, in 1633. This was the second marriage for both. One child was born from this marriage, Rene, born 1643. Jean Claude died in 1671 in Mortagne-Au-Perche, France. The name of Marie Salé, age 86, appears in the 1686 Census of Acadia, living with her son René"
However, throughout this time, Professor Stephen A. White, historian and genealogist with the Centre d'etudes Acadiennes at the University of Moncton in Moncton, New Brunswick, and his fellow historian, genealogist and author, Father Clarence d'Entremont from Middle West Pubnico, Yarmouth Co., Nova Scotia have steadfastly held that the theory that René Landry's parents were Jean-Claude Landry and Marie Salé, was false. As Father Clarence d'Entremont states in a letter of November 23rd: "NOWHERE in any census or other documents is to be found an Acadian by the name of Jean-Claude Landry. So, who was the father and mother of René Landry? I do not know, nor does anybody know.... Thus the descendants of René Landry, in my humble opinion, cannot go further up in their Landry genealogy, as we do not know who the parents of René Landry le Jeunne were, nor where in France he was born". "Jean-Claude Landry is effectively fictitious. There is no record showing that such a person ever existed. The husband of Marie Sallé is simply called Jean (or Jehan) Claude in the censuses of 1671 and 1678. According to archives, Marie Salé was married to Jean Claude; if she is to be called the mother of René Landry, necessarily we have to give her husband a name of Jean Claude LANDRY. But, I repeat, the name Jean Claude Landry is not to be found anywhere in the history of Acadia at the time; plus that the husband of Marie Salé was Jean Claude, PERIOD. He was a Micmac Indian. The Indians with the name Claude used to be quite numerous in Nova Scotia, The name became Glaude; in my young days I knew a number of them, who would write their name Glode (In French "au" is pronounced "o"). . His name occurs twice in the Port Royal Church Registers, ALWAYS as Jehan Clause, NEVER given as family name "Landry". As a matter of fact, if Clause had not been his family name, it would mean that the register gives him his first and SECOND name. Moreover, the registers of Port Royal ALWAYS give the WHOLE name of persons; but the fact is that Jehan Clause has his name given thus, NEVER with another name added to those two. If the family name had been omitted in the registers, it would be the only time that such a thing occurred in any register. Thus CLAUDE was the family name." An enthusiastic and overly imaginative researcher added Landry to this individual's name in an effort to explain why Marie Sallé resided between the younger René Landry and his son Antoine Landry in 1686. He supposed that this was the same Marie Sallé who married Martin Aucoin at La Rochelle in 1632, which does seem quite possible, and through that marriage she was related to Michelle Aucoin, with whose daughter she resided in 1671 and 1678, which is also possible. But the only way this researcher could connect Marie Sallé with the younger Rene Landry was in guessing that her Jean Claude was really a Landry and further that he must have been the younger René's father. This is merely wishful thinking. The other difficulty with the younger René Landry concerns his absence from the 1671 census. Some researchers have thought that this signified that he had not yet immigrated to Acadia by that time, but it can be shown that the 1671 census is incomplete, and thus the omission of anyone from it does not prove that that person only arrived in Acadia after that date. Indeed the records of the LeBorgne family in series E of the Archives des colonies (dossier E 277) mention transactions involving the younger René Landry's wife's brother-in-law, Guyon Chaisson, between 1668 and 1674, so we know for certain that the Chiassons were at "Mouchecoudabouet" during those years. It is my opinion quite likely that the younger René Landry and his family lived in close proximity with the Chiassons in "Mouchecoudabouet", around that time. As Bona Arsenault has indicated, for the elder René Landry to have been called "l'Aine" in the 1671 census presupposes that another René Landry must have lived somewhere in Acadia at the same time. As Father Archange Godbout mentions in his Dictionaire des Acadiens, the younger René "came from France with his wife". This quotation is lifted from several of the depositions of the Acadians at Belle-Ile-en-Mer. As Father Godbout pointed out in the Memoires de la Societé Généalogie Canadienne-Française (vol. V. p. 5), this expression on those depositions means simply that both the husband and wife were born in France, but does not necessarily mean that they came to Acadia together, much less already married to one another. So all we can say is that René Landry was born in France about 1634. We do not know whether he came to Acadia alone or with other relatives. As I have explained above, however, we do know that he was not nearly related to any of the other Landrys in Acadia." It is further stated by both Father d'Entremont and Professor White that it is very doubtful that two different census takers at two different times would have omitted the last name Landry when referring to the deceased husband of Marie Salé and if the family name had been omitted in the church and other public registers, it would be the only time that such a thing occurred in any register. Therefore they both conclude that the addition of the surname Landry to Jean Claude is an error. In a letter written in early 1998, Stephen A. White, Genealogist, Centre d'etudes Acadiennes writes: "What can I tell you about "Jean-Claude Landry" that I have not already said? Not much, I can assure you. No one has brought forward any new information to show that two different census takers, at two separate times, both forgot to put the name Landry in the entries pertaining to the widow Marie Sale. No one has discovered a cache of passenger lists for any of the vessels mentioned by Father Lanctot to show, as he maintains, that "Jean-Claude Landry" arrived in Acadia on a certain date, at the head of a group of a specific number of family members, In these circumstances, serious researchers must agree that nothing supports the contention that there ever was a "Jean-Claude Landry" in early Acadia." "No one really knows how the Landrys came to Acadia, how many of them came together, if indeed they did come in a group, or if and how they were related, beyond the simple fact that Rene Landry l'aine and Antoinette Landry were brother and sister. We certainly have no documentation to show that Rene and Antoinette were twins! Even though Rene and Antoinette are said to have both been fifty-three years old in the 1671 census, no experienced genealogist would read that as meaning that they necessarily born at the same time, because such records are rarely strictly accurate. After all, fifteen years later, in 1686. Antoinette is said to have been eighty! And by 1693 she had regressed to seventy-six. Such records are merely guides; they do not admit strict interpretation. To go further, without additional proofs, is to indulge in the creation of romantic fiction". "It is most regrettable that Father Lanctot chose to present his account of the history of our early Acadian families as though all of his points were based on documented facts. And it is reprehensible that a publisher saw fit to distribute such an admixture of truth and fantasy, as though it were serious history. The result is particularly invidious insofar as those people who have little or no means to consult the original records are concerned. They are left to suppose that Lanctot's work is a reliable piece of research, where as it is in fact treacherously misleading, because there are some extremely good information mixed in with the bad." Stephen A. White writes: "Regarding the origin and parents of René Landry, le Jeune there is probably no other Acadian family about whose background there has been so much speculation and wishful thinking. The result is that what we actually know about the Landry families who immigrated from France to Acadia, has come to be regrettably enshrouded in a dense fog of error and confusion." Yvon's Note: As can be seen, the above-noted information was gathered after lengthly discussions with Stephen A. White, genealogist and historian at the University of Moncton's Centre d'Etudes Acadiennes in Moncton New Brunswick and Father Clarence J. d'Entremont, Middle West Pubnico - Yarmouth Co., Nova Scotia, and they have more than adequately rebutted this theory. I am very grateful to my good friend, Dr. Don Landry for providing me permission to reproduce his excellent 'explanation' here. Francois Savoie's parents are unknown. He was NOT of the House of Savoy. Daniel LeBlanc's parents are unknown. There is no proof he was a son of the Blanc or De Blanc family. The identity of the parents of Antoinette Landry has been a much disputed genealogy issue for decades. Many websites list her parents as Jean-Claude Landry and Marie Salé, both born in France at the outset of the 1600s. This information (at least the surname of the father) has, however, been more recently challenged by a number of prestigious genealogists. The error apparently originated with noted genealogist Archange Godbout, who plausibly concluded that if René Landry was residing with his mother, Marie Salé, during the 1686 census, that Marie (widow of Jean-Claude) must have been the wife of Jean Claude Landry. No Jean Claude Landry, however, is found anywhere on any Acadian census of the period. Jean-Claude is only mentioned in the 1671 and 1678 censuses of French colonists, in the phrase: Marie Salé, widow of Jean-Claude. Jean-Claudes omission form any census of French colonists suggests (but does not prove) that he was of Indian blood rather than French, a circumstance borne out by the citation of Antoinette Landry and Rene Landry as ancestors of subsequent Métis citizens of eastern Canada. (The criteria for inclusion in Métis citizenship lists is itself likewise a much disputed topic). The use of the surname Landry for Jean Claude was perpetuated in the work of Father Leopold Lanctot, Adrien Bergeron and Bona Arsenault, but has since been disputed by Father Clarence d'Entremont, who refers to Jean-Claude as a Miqmak Indian, and by Alexandre Alemann, expert Métis genealogist, formerly of the prestigious Drouin Institute, who includes Antoinette Landry in a list of 115 provable Métis women of eastern Canada. Note: Many of the names on this list are disputed by other researchers, and several have later been proven via mitochondrial DNA tests to exclude the named individual's mother as having a Native American Haplotype. Those test do not exclude any other ancestor of those particular women from having Amerinian DNA, but make it very unlikely, given the early-mid-seventeenth century timeframe, that a European mother would have had an Amerindian father. An mtDNA test would prove nothing about Antoinette's Metis bloodine, since it is her father's Y-DNA that would hold the clue. To date (26 Jan 2007), I have found no DNA results posted on any project that disproves or proves anything at all about Antoinette's paternal bloodline. René and Antoinette are known to be siblings, but why they bear the Landry surname is still a mystery. These two are referred to as children from Marie Salés second marriage ( to Jean-Claude). Marie had previous married Martin Aucoin, and children from that marriage were: Michelle, Francois and Jeanne Aucoin. Alexandre Alemann's genealogical trace for the family of Richard Oakes, which includes Antoinette Landry and several other Métis mothers may be viewed here. See also Alexandre Alemann's list of 115 Metis women. Note: Some of the women on this list have recently been proven to have passed European mtDNA to their matrilineal descendants, thus invalidating their inclusion on this list. The list itself is now considered generally discredited, for this reason. Antoinettes mothers ethnicity is also shown as European by mtDNA test, but that was never really in question, as Marie Salé is acknowledged as of French origin. MtDNA testing would, however prove nothing with regard to Jean Claudes ethnicity, as mtDNA does not reflect the fathers DNA, at all. Jean Claudes heritage and thus Antoinettes Métis status thus remain unproven, but likewise not disproven. The Métis Corporation previously hosted a Web page displaying Alemanns list of 115 women, presumably proven to be of Métis descent. While it is conceivable that some of those women may had had such Amerindian bloodline introduced via a male member of their bloodlines, it appeared that most (or at least those mentioned in my genealogy pages) referenced a matriarchal descent. Following the consistent non-Amerindian mtDNA haplogroup testing results which disproved such Native American heritage for a number of the women on Alemanns list, the page has been allowed by the Métis Corporation du Québec et de lEst de Canada to lapse, along with the organizations previous presence\ link on pages such as Metis Councils (Canada): http://fotw.fivestarflags.com/ca_omtis.html. MYTH # 6: Some Acadians traveled overland to Louisiana. REALITY: All known historical evidence, indicates the Acadian exiles went to Louisiana solely by ship. Claims to the contrary stem largely from the work of Saint Martinville writer Judge Felix Voorhies, whose 1907 fictional account of the expulsion, Acadian Reminiscences, described a "perilous and weary journey overland." Acadian Expulsion Myths vs Reality; Connect to http://www.acadian.org/expulsionmyths.html for details. MYTH # 8: The Acadians who went to Louisiana traveled there directly from Nova Scotia. REALITY: All of the Acadians who settled in Louisiana first landed somewhere else. For example, those who went to Louisiana in 1765 with Joseph Broussard dit Beausoleil, first landed in Haiti and only later decided to settle in Louisiana. Similarly, others who came to Louisiana, traveled first to the British colonies of North America, to France, or to the islands of Saint Pierre and Miquelon, near Newfoundland. Catherine LeJeune and Edmée LeJeune were NOT Mik'mac Indians. MYTH # 10: All the Acadian exiles eventually made their way to Louisiana. REALITY: Fewer than half the Acadians exiles settled in Louisiana. Most either died before reaching Louisiana or landed elsewhere... France, Haiti and the British colonies of North America. Jehan Terriau, as far as anyone can prove, was NOT related to the King of Spain. MYTH # 12: Only troops and ships from England were involved in the expulsion. REALITY: Although in service to the British Crown, many of the officials who planned the expulsion and most of the foot soldiers who carried it out, hailed from colonial New England... present-day Connecticut, Maine, Massachusetts, New Hampshire, Rhode Island, and Vermont. Furthermore, most of the ships used to carry away the Acadian exiles [Click here for more info] came from New England and had been hired by a Boston trading firm. The old myth that the "x" used in Acadian names such as Breaux, Comeaux, Boudreaux came from the "x" mark signed by illiterate Cajuns is just that... a myth. REALITY: Nobody took much notice of the variant spellings until it came time to count how many Breaux's there were for the Louisiana Census of 1830. Judge Paul Briant of St. Martin Parish was in charge of the census for the area, and he decided that it was time to set down one spelling for all the Breaux's (and for the Boudreaux's and Comeaux's and others who spelled their names as the whim struck them on any given day). Hes the one who put the x on the end of Cajun names. Judge Briant recognized that there were more than a dozen ways to form the o sound in French surnames and arbitrarily selected the eaux ending because he thought it was the one most used in the Acadian ancestral lands in France. Thats the way he wrote the names on the Louisiana census record and thats the way theyve generally been spelled since. MYTH # 14: The British expelled the entire Acadian population in 1755. REALITY: The British expelled, at most, about half the Acadian population in 1755. The remainder avoided capture and escaped to regions controlled by the French or their Indian allies, such as mainland Canada. Some would be captured years later and then deported. [Click here for more info] Like many who were captured, thousands who escaped deportation died of disease, starvation, and exposure brought about by the expulsion. MYTH # 15: Michel de Forest is the same person as Gereyt de Forest. For many years, there has been a general theory expressed concerning the origins of the Acadian Michel Forest. He was the founder of an Acadian family that has many descendants now living in the Canada and the United States. Hence the importance of this theory for his many descendants. According to this theory, Michel Forest is part of the de Forest family of Huguenots who lived in the Netherlands before coming to North America. The history of this prestigious bourgeois family is covered in several books. The de Forest genealogy reaches back to Gaspard de Forest who in 1450 was living in Avesnes, French Flanders. The de Forests, because they where French-speaking Protestant Walloons from French Flanders, sought refuge from religious persecution in the Netherlands. Several of them became involved in various New World colonization efforts including the New Netherlands (New York) and French Guiana. There are actually two specific theories that fall under the general theory that Michel was a member of the Huguenot de Forest family that settled in New York. The Jessé theory claims that Michel is the son of Henri de Forest and the grandson of Jessé de Forest. The second theory claims that Michel is really Gereyt de Forest, the son of Crispin de Forest, and the grandson of Gérard de Forest, who you will recall is the brother of Jessé de Forest and the son of Jean de Forest. Several descendants of Michel de Forest have been tested for their Y DNA as well as a few descendants of Jesse de Forest. They simply do not match. It is now clearly established that there is no genetic relationship between these two men. According to this webpage: Ceci prouve que l'hypothèse de John P. Dulong sur l'origine de l'acadien Michel de Forest est correcte. That is, the mysterious 1658 list of colonists brought over by Sir Thomas Temple to Acadia is completely bogus. Michel de Forests ancestry must be sought in France and not in the Netherlands. He is not the same person as Gereyt de Forest!